This wave of figures is arguably most known for the Zuckuss/4-LOM mixup, in which Kenner mislabels the figures: 4-LOM is the droid bounty hunter, but is called Zuckuss on his aciton figure packaging, while the bug-like Zuckuss is incorrectly labeled 4-LOM. 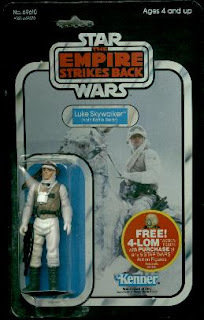 The Zuckuss figure (advertised as 4-LOM) was this wave's mailaway figure, offered ahead of the wave's release in stores. It also has a soft goods cloak. "Things That Go Bump in the Night!" 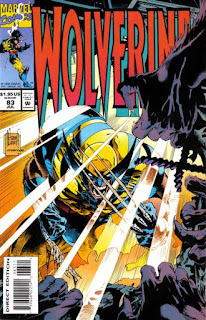 Wolverine fights the Hunters in Darkness. With members of the research team on the brink of death, Wolverine & James Hudson rush into the attacking Hunters in Darkness to retrieve a component of the communications array to call for help. But when the Hunters cut the power from the generator, Wolverine says they can't wait for help. As the others cover him, he makes a break for the loader suit. Elsewhere, as Albert, Elsie-Dee & Bloodscream track Wolverine, Albert detects the presence of the Hunter in Darkness whom they encountered in the past. Back at the research base, Wolverine fights his way to the alpha of the Hunter pack, who is the same creature he encountered previously and traveled with Albert & Elsie-Dee. Recognizing Wolverine, the now-wizened Hunter calls off the attack, and Wolverine asks Harry to fly him south. Elsewhere, Albert detects that Wolverine is traveling by air, prompting Albert to locate the stealth bomber he & Elsie-Dee previously used. Later, Wolverine completes his Canadian visit by visiting Silver Fox' grave. 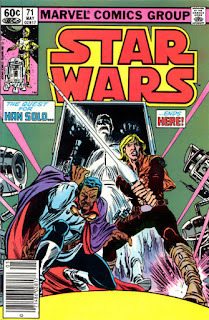 Luke & Lando escape from Drebble, but their search for Han leads to another dead end. Surrounded by goons led by Bossk & IG-88, Luke & Rik Duel manage to escape, but Lando & Dani are captured. 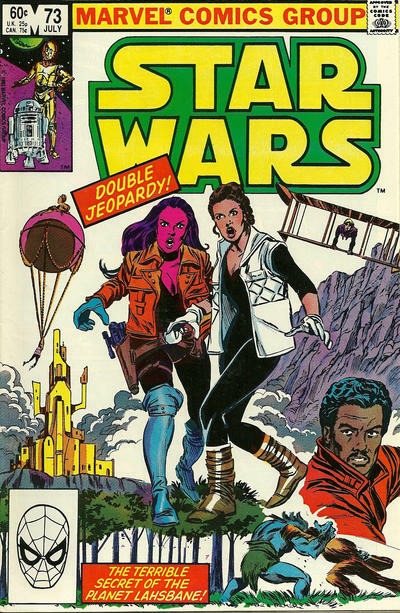 Luke attempts to contact Chewbacca & Artoo back at the Falcon, but the pair have entered the city, and briefly encounter one of the native Stenax. 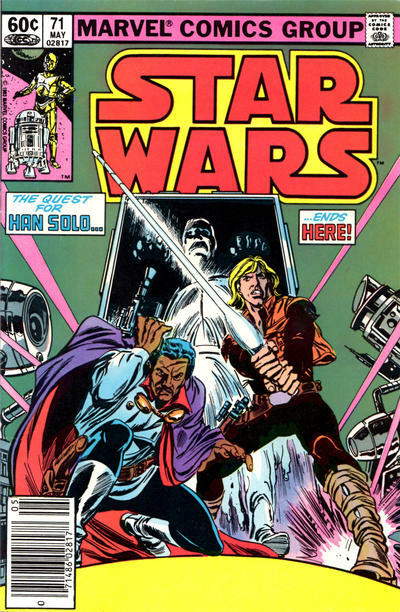 Lando & Dani are taken to Drebble, who hired the bounty hunters to capture Lando, and they briefly manage to escape. But Drebble's goons herd the pair into a carbon freezing chamber. Luke & Rik intervene in attempt to ave their friends, but are overwhelmed. Just then, Chewbacca bursts in leading a group of Stenax, having coerced them into helping him. He knocks out Bossk & IG-88, after which the rest of the goons quickly retreat or are defeated. 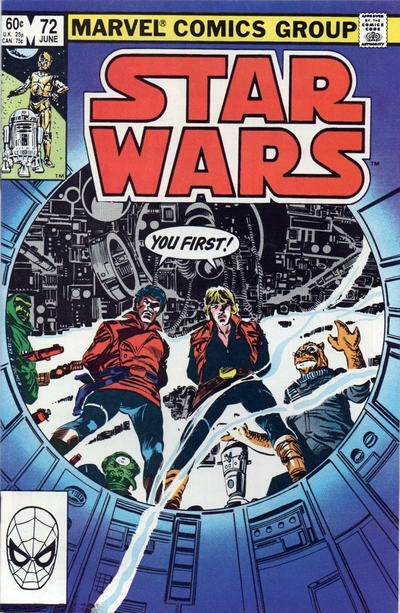 Luke & Lando apologize to Chewbacca for reaching another dead end in the search for Han, as Rik ponders how to convince the Stenax to help him free Chidho. As the Falcon departs Stenos, Luke is stunned to discover that Dani has stowed away on board, having decided it was time to take a vacation from Rik, and that she wanted to spend it with Luke. Zero gains sentience as Moira reveals the Legacy Virus has spread to humans. 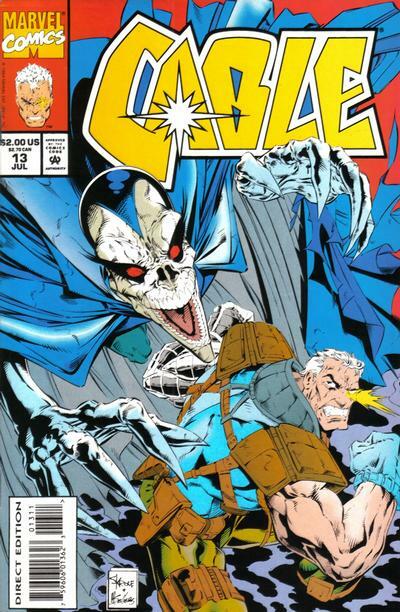 Excalibur, Douglock, & the family they rescued arrive at the destination to which Zero teleported them: one of Stryfe's secret bases, housing a large number of the droids hunting Zero, all dormant. Zero explains that he reasoned it was the last place the active droids would think to look, and Meggan realizes where the base is: beneath the Pentagon. Above, Val Cooper gives Forge a file on Shadowcat's father, but Forge is reluctant to act on the information for now. 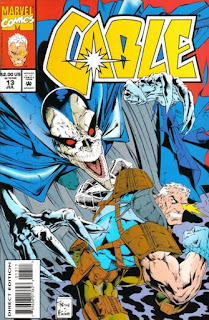 On Muir Island, Xavier & Moira continue their research into the Legacy Virus, while Stephen Lang is desperate to learn how Douglock escaped the Phalanx, though a shadowy figure tells him it doesn't matter. 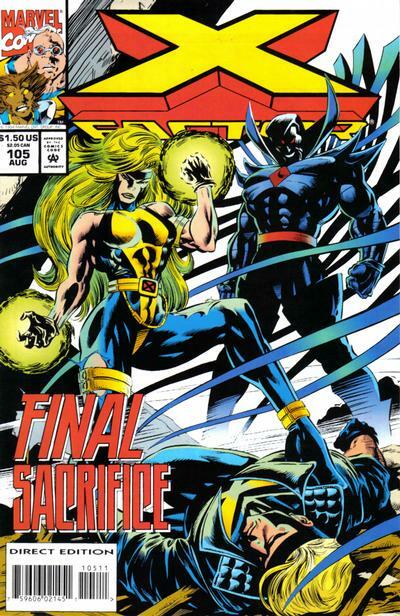 Back beneath the Pentagon, Meggan helps Zero realize he has gained sentience, which causes the inert droids to activate and start self-destructing, desperate to destroy Zero because, as Zero explains, his sentience has unlocked the secret of the Legacy Virus. 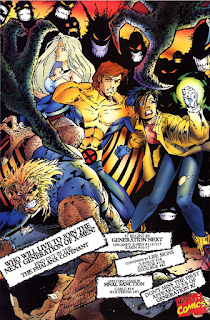 Meanwhile, back on Muir Island, Moira reveals to Xavier that their worst fears have been confirmed: the Legacy Virus has mutated, and is now spreading to the human population. Domino & Cable stand alone against Nimrod. Domino's power proves initially difficult for Nimrod to counter, allowing time for the rest of X-Force to recover and join the fray. Together, they manage to blow off one of Nimrod's legs, creating an opening for Cable to telepathically transport himself and the two scientists working on the project into Nimrod's "mind". There, they convince Nimrod to run analysis on the human causality figures caused by a Nimrod Hunter unit existing 60 years before it should, thus intensifying the war between humans & mutants. When the numbers come back significantly higher than if Nimrod wasn't active in this time, it shuts itself down. In the aftermath, one of the scientists gives Cable Nimrod's neural net, but says they'll keep the remaining shell to study its alloys & defensive systems, a comprise Cable finds agreeable. Meanwhile, in Kentucky, Cannonball's family farm is visited by the X-Ternals. 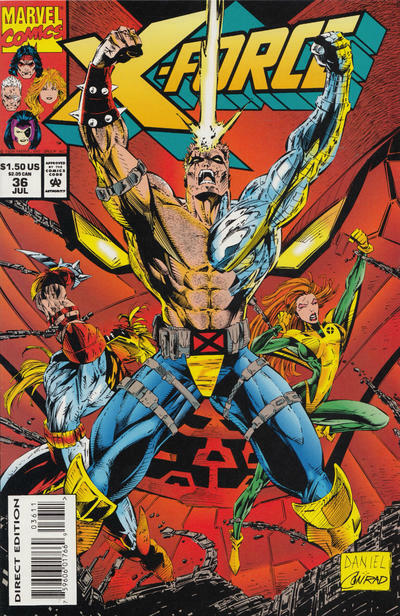 The X-Men infiltrate Mr. Sinister's Nebraska base. 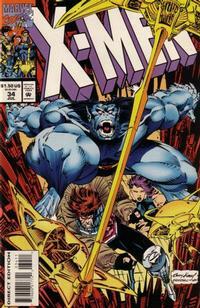 Following up on Sabretooth's intel, Beast leads Rogue, Gambit & Psylocke to infiltrate Mr. Sinister's base beneath a Nebraska orphanage, in the hopes of finding information on the Legacy Virus. They are briefly attacked by the thought-dead Riptide, but he is easily defeated, after which they discover Threnody at the center of the complex, having gotten her mutant power under control with Mr. Sinister's help. She tells them that she is taking advantage of his frequent absences to comb his databanks for information, but is shocked when they mention Riptide. 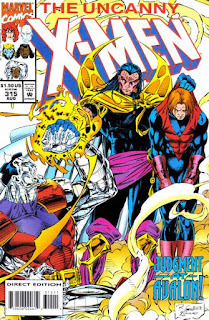 Revealing that Mr. Sinister keeps genetic material on hand to create clones of the Marauders, she realizes the cloning chamber must have malfunctioned, creating a Riptide clone of its own volition. She then explains that the cloning process works in pairs, meaning a clone of Sabretooth has been created as well. He soon attacks, but is even more defective than Riptide, and falls apart after Rogue punches him. Declaring the clones to be too dangerous, Threnody destroys all the genetic material to prevent anymore. 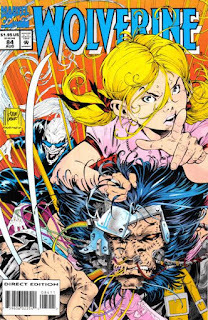 Beast urges her to leave with the X-Men, but she insists that Sinister won't realize what she's done for some time, and prefers to stay where she is, helping take down Sinister from the inside. The search for Han leads Luke & Lando back to Stenos. On the trail of Bossk & IG-88, the Millennium Falcon returns to Stenos. Leaving behind Chewbacca & the droids, Luke & Lando head to a nearby tavern. Inside, Lando is spotted by Drebble, a past associate who offers anyone in the bar 10,000 credits to capture him, triggering a melee. During the ensuing fight, Luke gets them out of the bar, but the pair is separated. To escape the mob, Luke ducks inside a nearby building, and finds Rik Duel & Dani, missing their associate, Chihdo. Asking for his help, they lead him outside, where Lando rushes up, telling Luke he's found Han. They trail a pair of thugs carrying a carbonite block to a large building. 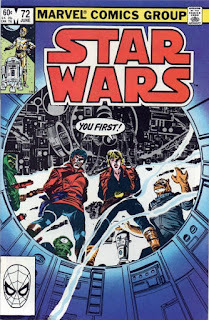 After Luke contacts Chewbacca to tell him they've found Han, he & Lando fight their way inside, only to discover the block contains Chihdo, not Han, and that they're been surrounded by a group led by Bossk & IG-88. Wolverine returns to Canada & reunites with the Hudsons. Wolverine arrives in the Canadian arctic and reunites with James & Heather Hudson, who are leading a research team investigating the effects of the hole in the ozone layer. They show Wolverine a block of ice that once contained a massive beast he identifies as the Hunter in Darkness. Elsewhere in Canada, Elsie-Dee, Albert & Bloodscream are accosted by a group of thugs. Fighting them off, the trio sets off in search of Wolverine. Further north, the Hunter in Darkness penetrates the research station, attacking Wolverine and the team. Recognizing it's not the same Hunter he previously encountered, Wolverine is able to drive it off into the night, where it howls at the moon, calling for other Hunters. It is cry that is answered. 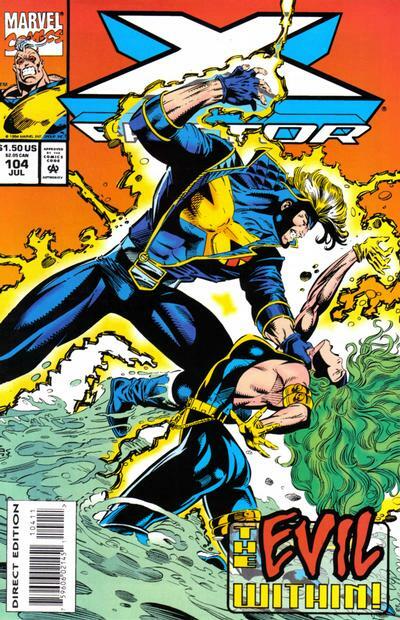 Polaris battles a Malice-possessed Havok. 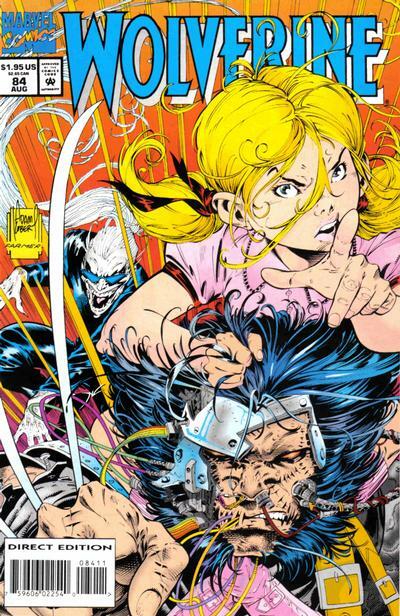 In control of Havok's body, Malice attacks Polaris, hoping to kill her before Mr. Sinister can force the pair to re-bond. Meanwhile, Strong Guy reconnects with an old flame in his hometown of Rhinebeck, only to discover her feelings for him aren't as deep as his are for her. Back in Hawaii, Polaris manages to contain the Malice-possessed Havok in a metal shell. In Rhinebeck, Wolfsbane comforts Strong Guy's young cousin, who is worried about being a mutant, as well as a heartbroken Strong Guy. In Hawaii, Polaris discovers a dazed Beatrice Conners, Malice's previous host, just as Malice breaks free. Malice grabs Conners and tells Polaris if she doesn't let Malice kill her, Conners will die. In DC, Val Cooper tries to call in Quicksilver to help Havok & Polaris, but when he is unavailable, she picks up Strong Guy & Wolfsbane in Rhinebeck, cutting their vacation short. 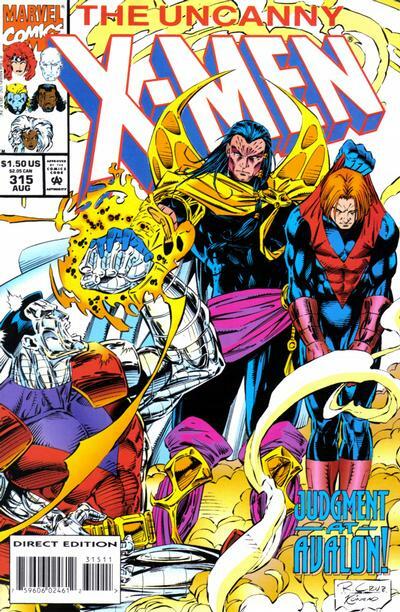 In Hawaii, Polaris agrees to Malice's terms, but just as Malice is about to finish her off, Mr. Sinister & the Nasty Boys arrive, telling Malice if she kills Polaris, her misery will only be all the more sinister. Emma Frost learns the truth about the Hellions. 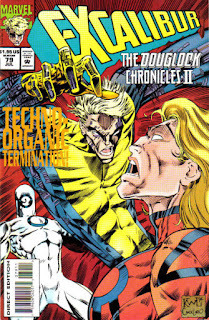 Archanel & Storm pursue Emma Frost, whose mind is trapped in Iceman's body. Using Iceman's powers in new & inventive ways, she manages to evade capture, but Professor X calls off the X-Men; he suspects he knows where she's headed, and he & Banshee are already en route. Meanwhile, Bishop trains in the Danger Room under the watchful eye of a holographic representation of his deceased sister, Shard. 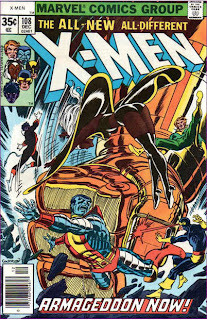 In New York City, Emma Frost arrives at Frost Enterprises and uses Iceman's powers to fight past the security guards. Inside, she accesses the computer systems, and confirms her worst fears: all the Hellions are dead, slain by Fitzroy and his Sentinels. 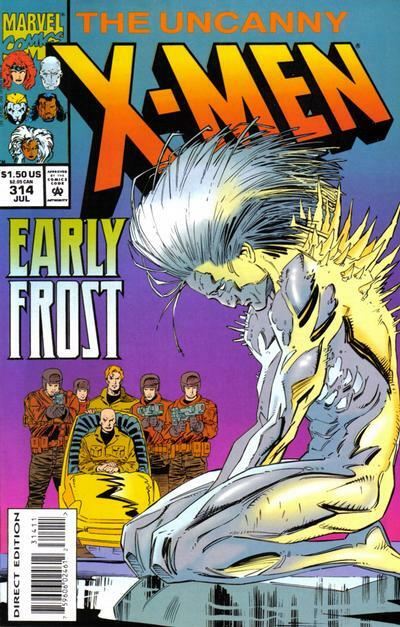 As the Frost guards surround her, guns drawn, she begs them to shoot her, but Xavier telepathically stops them, and Banshee offers her a hand, saying that mutants can't afford to keep fighting amongst themselves, and that while what happened to her students was tragic, there's no changing it, but she can start working to make things better for the next generation of mutants. She takes his hand and they depart, leaving Xavier to look over the list of slain Hellions and vow to never again allow innocent blood to be spilled in this insane conflict between races. Here's an odd one. 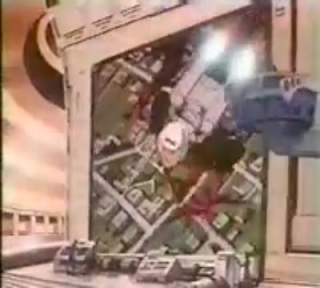 The second commercial to air for the G. I. Joe comic is for the fifth issue, cover dated November 1982. Most likely, it went on sale in late summer of that year. Perhaps someone somewhere would like to search through Youtube archives of kids' TV commercials from that summer. Now, why do such a thing when great folks like 3DJoes have already archived all of the ads?